Sermon for Christmas Day: "When God Speaks"
At Christmas, we sing carols, we hear the Christmas story, we send cards, we greet each other with “Merry Christmas”, we watch our favorite movies on TV, we pull out our favorite recipes for dessert or dinner. But none of these things would be possible without words. No words…no Christmas. No, when we speak, things don’t always happen the way we want. God’s Word, on the other hand, is quite different. God’s Word is living and active. God’s Word is a two-edged sword of Law and Gospel. God’s Word kills and makes alive. God’s Word creates life something out of nothingness. God’s Word is a lamp to our feet and a light to our path. When God speaks, things happen. The lame walk. The blind see. The wind and waves obey. The dead rise. Sin is forgiven. In the beginning, we hear God’s creative word: “Let there be light!” And it was so. God’s Word at Christmas is just as creative. The Virgin Mary conceives a child by the Holy Spirit as promised in God’s Word. Mary and Joseph both believe God’s Word. The Angel chorus sings God’s Word. The Shepherds rejoice and run to see Jesus according to God’s Word. The Magi find their way to Jesus because of God’s Word. The prophets’ words are fulfilled as the Eternal Word of God becomes flesh for you. Everything at Christmas happens by God’s Word. When God speaks, He gives you life in Jesus, the Word made flesh for you. What a difference from our words. When we speak, we tear down instead of build up; we lash out at those who hurt us; we spread gossip and insult our fellow brothers and sisters in Christ instead of speaking of them in the kindest way. Out of our mouths come both blessing and curse against God and our neighbor. When we speak, we boast in ourselves; we lie, betray, and destroy. Worse than that, by the time we speak, it’s too late. We have sinned in thought, word, and deed. God has a Word all our words. Repent. Turn away from your words to God’s Word. For God’s Words are not our words. When God speaks, He gives you life in Jesus, the Word made flesh. On Christmas Day we sing, receive, and rejoice in God’s Word. On Christmas Day God speaks his Word of rescue, redemption, and restoration to you as he promised throughout his Word in the Old Testament. When God speaks to Adam and Eve He creates life. The promised child born to silence the devil’s lying tongue once and for all is the Word made flesh, born of the Virgin Mary. When God speaks to Noah he restores creation. God’s Word is fulfilled in the Word made flesh, whose birth, life, death, and resurrection restores creation far as the curse is found. When God speaks to Abraham, Isaac, and Jacob, he promises an Offspring. God’s Word is fulfilled in the Word made flesh, Abraham’s offspring through whom we, and all nations, receive the adoption as sons and heirs. When God speaks to David, he establishes his throne forever. God’s Word is fulfilled in the Word made flesh who is David’s son and David’s Lord, the Son of the Most High whose kingdom and peace will have no end. When God speaks to Isaiah, he gives a sign. 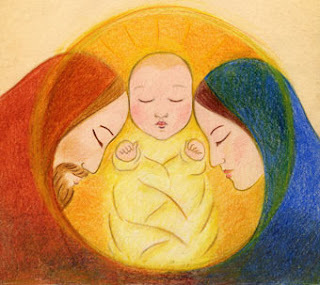 The Virgin shall conceive the Word made flesh, Immanuel: God with you in your humanity. God with you in the manger. God with you on the cross. God with you in his Word. How beautiful are the feet of him who is Good News for you. In many and various ways, God spoke to his people of old by the prophets. But now in these Last Days, he has spoken to us by his Son. God’s Christmas Words to us are as mysterious as they are joyful. The eternal Word through whom all things were made, and in whom all things have their existence, and are held together, the eternal Son of the Father, the Second Person of the undivided Holy Trinity, became “bone of our bone and flesh of our flesh.” In Bethlehem, the Lord has bared his holy arms for you in the infant arms of Jesus. The Creator becomes a creature. The Infinite resides in the finite. The fullness of the Deity dwells among us bodily. God and Man are reconciled. What Adam, and we along with him, lost in corruption, Jesus restores. God sends his Son to make us sons of men God’s children. God is Man and Man is God in this tiny Child born of the Virgin Mary in Bethlehem. Today, the Word Made Flesh dwells with us in the same humble, creaturely way. When God speaks, he drowns our sin and raises us up to new life in Holy Baptism. When God speaks, he is swaddled for us in the preached word and written word. When God speaks, he summons pastors and people, like the lowly, humble shepherds to run and tell his Good News of peace and pardon to all who hear. 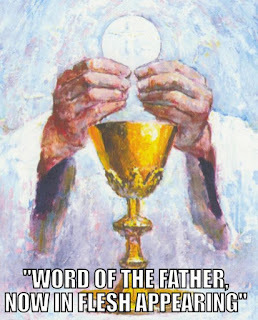 When God speaks, he comes to you mangered in the bread and wine of the Lord’s Supper – your house of Bread, your Bethlehem – where the Word remains flesh and dwells with you and for you. There you will find Him, swaddled in all His enfleshed glory, offering you grace upon grace, today and every day you hear the Lord’s Word. In Jesus’ word we have everything we need for a Merry Christmas. For when God speaks, He gives you life in Jesus, the Word made flesh for you. 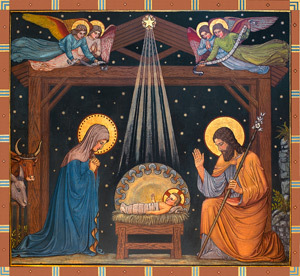 Sermon for Christmas Eve Lessons and Carols: "Christmas is for Hearing and Singing"
As so many of our favorite Christmas teach us, Christmas is for hearing and singing. Hark the herald angels sing, glory to the newborn King. On Christmas night, all Christians sing, to hear the news the angels bring. Angels from the realms of glory, wing your flight o’er all the earth; Ye who sang creation’s story, now proclaim Messiah’s birth. Tonight we hear the Good News of great joy: unto you is born this day in the city of David, a Savior who is Christ the Lord. And we sing with the angels: Glory to God in the highest and on earth peace among those with whom he is pleased. We could take away all the trappings of Christmas - as the Grinch tried to do in Dr. Suess’ famous children’s book – and we could still have Christmas. We would stand in our pews or our homes like the Whos down in Whoville in joyful defiance as we join heaven and nature in singing: “Joy to the World, the Lord, our Savior, is come…to save you. Even in the trenches of WW I, the thunderous chorus of mortars and machine guns were silenced and German and American soldiers filled no man’s land with the sounds of singing, and at least for a short time, it was a Silent Night. Christmas is for hearing and singing. And yet, as God’s Word teaches us, hearing and singing God’s Word is difficult, even at Christmas, maybe especially at Christmas. The sights and sounds of the hectic holiday season surround us. We hear the radio blasting: “have a holly jolly Christmas” but we rarely hear why. Though we live in a land of Christmas lights and decorations that rival Clark Griswold’s display of exterior illumination, Isaiah was right. We dwell in a land of deep darkness. Terror on the news. Tragedy in our communities. Broken homes and marriages. Disease, sin, and death. Despair in our hearts and minds. And the devil, who sang his siren song to Adam and Eve, still chants his funeral dirge in our ears: did God really say? But all of that changes tonight. Christmas is for hearing and singing. Tonight we sing with Mary, My soul magnifies the Lord and my spirit rejoices in God my Savior…for the child born of Mary is the child promised to Adam and Eve and all creation. The eternal Word of God who spoke creation into being, is now an infant creature, crying out in his mother’s arms. Tonight we sing with Abraham and Sarah for God has not withheld his son, his only begotten son from us. Jesus is the Lamb of God who takes away the sin of the world…for you. Tonight we sing with Isaiah and all the prophets: The people walking in darkness have seen a great light; those who dwell in the land of deep darkness on them has light shined. 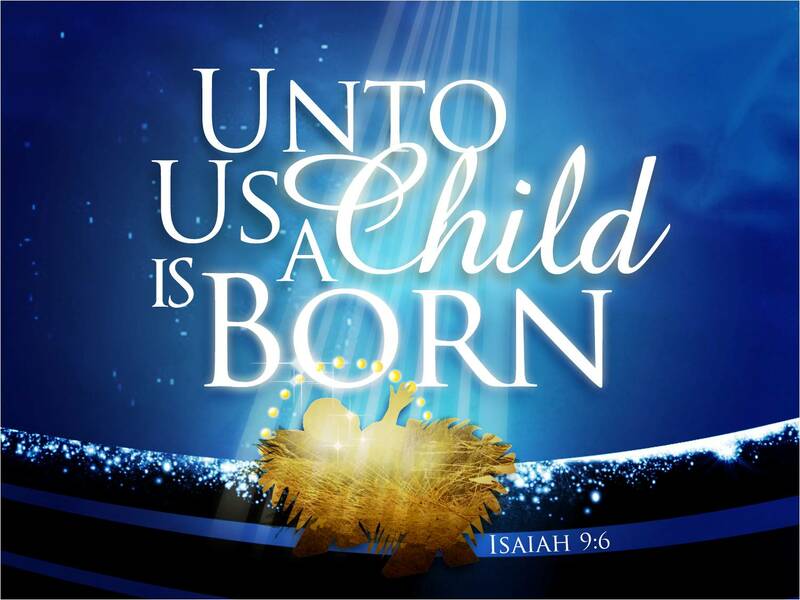 For unto us a child is born, unto us a Son is given. Tonight we rejoice with Joseph in the child named Jesus who saves you from your sins. He is Immanuel, God with us, God one of us. God for us in the manger and on the cross. God is man, man to deliver. Tonight, at last, the din of Satan’s chaotic lies is drown out by the angel choirs. This song, first heard by the shepherds, was the greatest moment in the history of the angel choirs. They intoned the song of the redeemed of God. They sounded the first note in a long processional of those, including you, who will come out of the great tribulation and join the Christmas choirs of heaven. From that first note that rang out in the dark, every song, carol, hymn, and canticle we sing, are echoes and antiphons of this eternal hymn: Glory to God in the highest. Heaven’s song comes to earth as Earth’s savior comes from heaven. Glory in the poverty of the manger. Glory in the humble birth. Glory in the forgiveness of sins. Glory the name of Jesus who saves you from your sin. 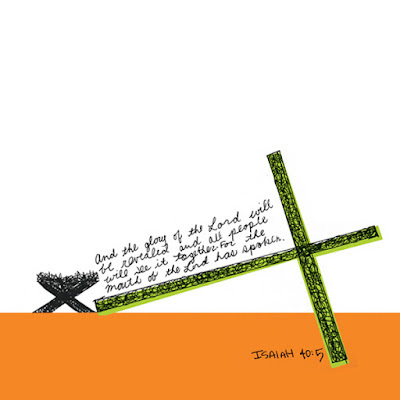 Glory in death on the cross for you. Tonight the angels song is our song. Heaven and earth join in this song of praise. through life and time and death, through sorrow and pain and tears, until in heaven and on earth there is only one song again and we are singing it with him: Glory to God in the highest. We hear the Good News: Christ the Savior is born for you. And we sing God’s praises: Glory to God in the highest. 3rd Advent Midweek Sermon: "Comfort in Christ Crucified"
The rock n’ roll legend, Tom Petty was right, “The waiting is the hardest part”. During this season, we spend a lot of time waiting: in lines at the store, for packages on our doorstep, or on the freeways in traffic. For some of us, this waiting is full of excitement and expectation, like a child who can’t fall asleep Christmas Eve because they’re so antsy waiting for Christmas morning. Still, there are many others who are waiting for the holidays to be over. And as we hear God’s Word taught and preached, as we live in the word and water of our Baptism, as we receive Jesus’ body and blood by his Word and promise in Holy Communion, we also wait for Christ to come again on the Last Day. The people of Israel have a long history of waiting. Waiting on God’s promises is the story of the Old Testament. Israel waited for their exodus from slavery in Egypt to enter the promised land, waited for the glory of the Lord to fill the temple built by Solomon, waited for the promised Messiah to come and crush the serpent’s head once and for all. YHWH sent Isaiah the prophet to Israel at a time of waiting. The kingdom of Israel, established through David, given the Lord’s splendor and glory through Solomon, was divided. Though a faithful remnant would remain, many did not wait on the Lord and chased the instant gratification of false worship to false gods. Meanwhile, the Babylonian and Assyrian empires waited for an opportune time lay waste to Jerusalem. In the years after Isaiah, Israel would need the word of the Lord he delivered. King Hezekiah foolishly put his trust in the Babylonians to protect Israel from the Assyrians. Isaiah warned of the coming Babylonian exile. But in 587, Jerusalem fell to the Babylonians. The Holy City was consumed in destruction. The land, promised by YHWH, was pillaged and devastated. Israel was taken into exile. Ezekiel’s chilling vision had come true. The glory of the Lord departed the temple. And the temple – the place where YHWH dwelled with his people and for his people - was in ruins. No temple, no sacrifice for sin, no liturgy, where YHWH was present for his people in mercy. And in many ways, we’re a lot like Israel. Waiting is not something we excel at. If the busy-ness of the holiday season teaches us anything, it’s that we are far too easily frustrated, impatient, and quick to anger and abounding steadfast stubbornness. Like Hezekiah, we put our hope and trust in the Babylons of this world, in people, places, and things that are temporal. All flesh is grass; it withers and fades away, says Isaiah. Like Israel, we war with God, we are unfaithful as his bride, chasing our own passions, desires, lusts, and idols. Like Israel, God sends us Isaiah and the prophets, all the way down to John the Baptist, to awaken us in our waiting. Repent. The Kingdom of God is at hand. But Israel did not wait in vain for the Lord. For neither exile nor captivity could silence the Word of the Lord. After 70 years in captivity, Israel returned to Jerusalem. The walls and temple were rebuilt. The liturgy and sacrifices for sin was restored. Into the destruction, despair, and desolation of Israel’s exile, the Lord sent his Word, his solemn promise. Like Israel, we do not wait in vain. The Messiah that Isaiah foretold came for Israel and for you. The comfort Isaiah declared comes for you in the flesh of Jesus. The forgiveness and pardon promised by God comes for you in Jesus born for you, held captive to sin and death for you, crucified and risen for you. Into our exile, into our lives broken by sin, into our lives of hopelessness, destruction, disease, and death, the Lord sends Jesus, the Word made flesh for you. For us who sit in exile in this fallen world, Jesus comes and frees you from captivity to sin. For us who are unfaithful in thought, word, and deed, Jesus comes as the faithful Son in your place, always fulfilling the Father’s will and desires for you. For us who were at war with God in our hearts and minds, Jesus wins victory and brings peace to you by his death on the cross. For us who deserved double punishment for our iniquity, Jesus comes and pardons you, gives you double forgiveness, double comfort. Comfort, comfort my people, says your God. Comfort is a Gospel word, and once is never enough with the Gospel. You simply can’t hear, receive, eat and drink God’s comfort for you in Jesus too much. So it is this Advent; we wait with Isaiah and Israel who longed for Jesus’ appearing, with Simeon who was awaiting the consolation of Israel, with Anna and all who were waiting the redemption of Jerusalem. The glory of the Lord has returned and is revealed for you in Jesus. From the tabernacle of Mary’s womb comes forth the temple of Jesus’ body. 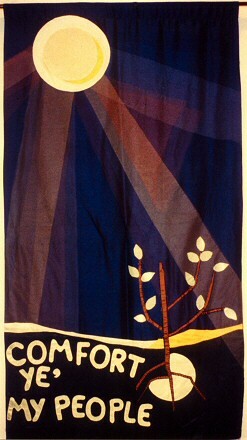 The glory of the Lord revealed to Moses in the burning bush now manifests his glory from the tree of the cross for you. The glory of the Lord who led Israel by a pillar of smoke and fire now leads us as the Good Shepherd, who laid down his life for you. The glory of the Lord that sat between the cherubim on the ark of the covenant, now dwells for you in the bread and wine of the Lord’s Supper, the water of your Baptism, the double forgiveness of Absolution, and the Word of the Lord endures forever for you. Here in the Lord's House, we have everything Israel had, only infinitely greater: the temple, the liturgy, sacrifice for sin,– it’s all here for us in Jesus, the glory of the Lord in human flesh. Yes, we wait, but not in vain. 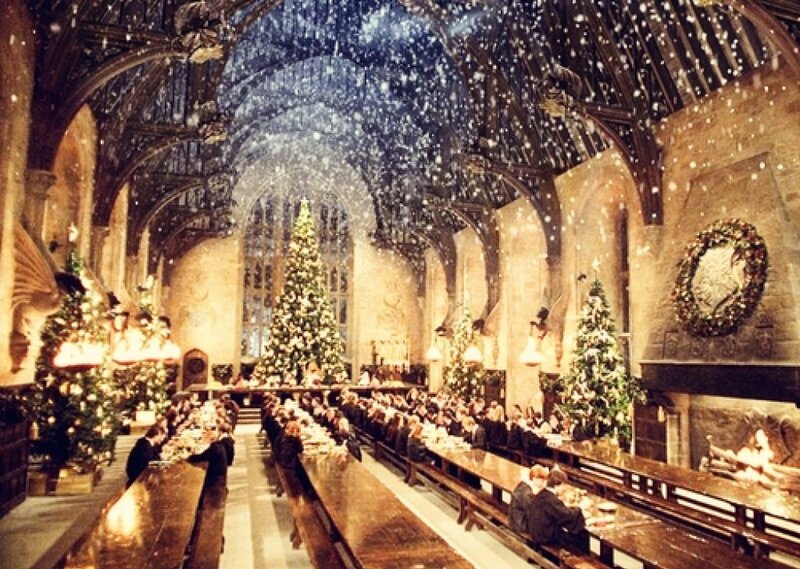 Deck the halls. That's tonight's theme. When you hear this song, what comes to mind? Well, perhaps if you’re a sports fan you think of the Hockey Hall of Fame in Toronto or the Baseball hall of fame in Cooperstown. If you like good music, such as we’ve heard this evening, you might think of Carnegie hall. If you’re politically minded, you might think of the halls of congress. If you’re a Marine, or know someone who is, you might start singing, “from the halls of Montezuma, to the shores of Tripoli”. Or if you’re a fan of reading good books you might recall the magical, Great Hall of Hogwarts castle. But as good as these halls are, it’s not quite what this song or season is about. And while we’re clearing up misconceptions, Deck the halls is not a call to violent action, even though you may want to deck something or someone else this holiday season. Nor does that little line “Troll the ancient yuletide carol” give us permission to fill Facebook with snarky comments. It has even less to do with actual trolls. And, though it may be obvious, “the blazing Yule” is not talking about Yul Brynner. No, it’s a yule log. So let it be written, so let it be sung. It is a whimsical, jovial, festive song about Christmas, and one of the common things we all do at Christmas. We gather. That’s what a hall is for, after all. It is a gathering place: to admire athletic achievement, to listen to good music, to govern, to defend, to dive into an imaginary, magical world. That’s one of the things we do at Christmas, we gather. In our own homes, many of us gather around the tree, the table, and gifts. And if you do not have a home or friends or family to gather with this holiday season, I hope you’ll come and talk with me or one of our members, we are here to be your family and to share the love of Christ with you. Here in the Lord’s house we experience something similar, but far better. We also gather - or rather, God gathers us - into the halls of his Church. God gathers us around the tree of Jesus Crucified for you, at the table where Jesus’ body and blood are given for our forgiveness, and where Jesus’ gifts of life and salvation are given freely to you, for you. This is the real reason God gathers us during the Advent and Christmas seasons, whether it’s for a joyful concert, Sunday services, or the special services on Christmas Eve. We may not have a yule log (or a fireplace burning - this is Southern California, after all); we may not have wintry wind and weather; and we may never really know what Fa la la la la la la la means; and yet we gather together to deck the halls with the most ancient of yuletide carols. O Come, o come, Immanuel...and ransom captive Israel. We gather together and hear how Mary rejoiced and sang at the news that she was to be the Mother of God and bear a Son, our Savior. 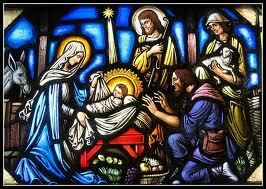 We gather together and sing with the angels: Glory to God in the highest and on earth, peace, goodwill towards men. We gather together and join the shepherds in beholding the glory of God in an infant child born to save you; and join them in spreading this good news with everyone we know. We gather together to rejoice in this Prince of Peace who was born for you - not in the great halls of Caesar, or in the halls of Herod’s palace - but in the humble hall of straw and dirt, in a manger in Bethlehem. And when the Lord decks the halls of Bethlehem he does it in the most unexpected, yet joyful way. 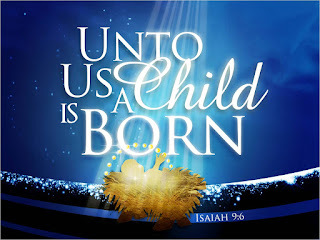 Unto us a Son is born, and unto us a Son is given. At Christmas God gathers us together to rejoice in the great and gracious mystery, that from the pure and kingly hall of the Virgin Mary, was born the Savior of the nations. At Christmas God gathers us together to announce that God has become man to deliver you from sin, death, and all evil. At Christmas God gathers us together that to rejoice that in the birth, life, death, and resurrection of His only Son, we become children of God. At Christmas God gathers us to rejoice with angels, shepherds, family and friends in the good news of great joy for you and all people: unto you is born this day in the city of David, a Savior who is Christ your Lord. At Christmas, we deck the halls of the Lord’s house with thanks and praise to God: Father, Son, and Holy Spirit. A blessed Advent and Christmas season to each of you. 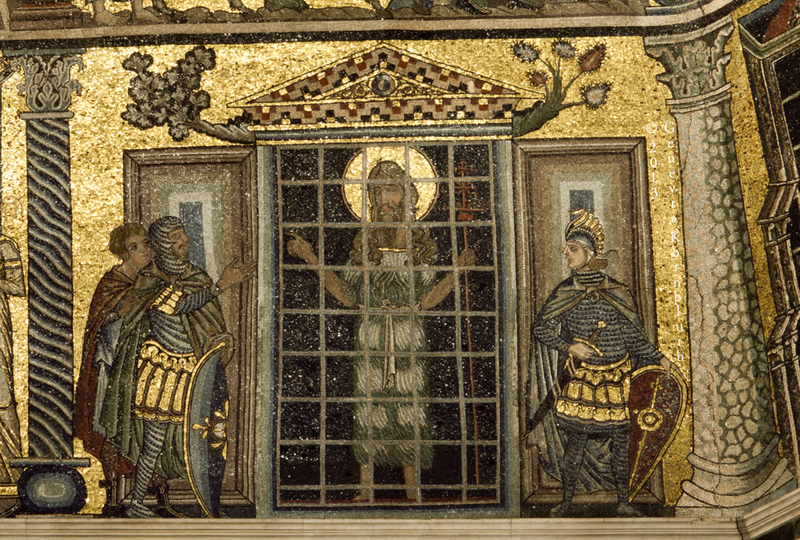 Sermon for 3rd Sunday of Advent: "Who Are You?" Long before the Who sang out those famous lyrics, “I really wanna know! Who are you?”; and long before the Caterpillar in Disney’s Alice in Wonderland asked Alice, “Who are you?”, John the Baptist asked a similar question of Jesus: Are you the one who is to come, or shall we look for another? Who are you, Jesus? Last week we heard who John was: I am the voice of one crying out in the wilderness: prepare the way of the Lord. That’s John’s identity: a voice proclaiming Jesus’ arrival: Repent, for the kingdom of God is at hand. A finger pointing to the only oasis in the wilderness: Behold the Lamb of God who takes away the sin of the world. In today’s Gospel reading, John wants to know, who Jesus is. Who are you, Jesus? Are you the one who is to come, or shall we look for another? It’s not too hard to understand why John asks this question. Preaching real repentance for real sin was not likely to get him a major book deal on the Jerusalem Times best sellers list; it was just as unpopular then as it is today. Same goes for John’s judgment of Herod’s adulterous relationship with his brother’s wife. 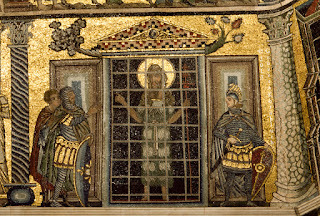 John was thrown in prison, and eventually beheaded. Perhaps, like many in his day, John had certain expectations of who the Messiah was supposed to be. The axe, the winnowing fork, the fiery breath, the judgment. Messiah was supposed to be a strong man, God’s appointed warrior, someone who would gather an army, lead a revolution, put Israel back on the map, make Israel great again, restore the throne of David and all the glorious splendor of Solomon. And then along came Jesus. Humble. Lowly. Meek. He asks John to baptize him the Sinless One with a sinner’s baptism. He ate and drank with sinners and tax collectors. He healed the sick. Raised the dead. Forgave sin. The axe was laid to the tree, but Jesus let the axe fall upon him. God’s wrath was poured out in judgment, but Jesus came to be judged in our place. Jesus was a strong man, a warrior, and a king, but one whose strength was in weakness, whose victory was in death, and whose throne was the cross for John and for you. Today we join John in the prison of this fallen world asking Jesus a similar question. Who are you, Jesus? Are you the one who is to come, or shall we look for another. And it’s easy to understand why we as a congregation might ask this question. We see popular Christian churches and leaders who scratch the itching ears of the sinful flesh, and yet they prosper. We see more and more churches specialize in entertainment and social programs instead of proclaiming the Gospel, and they grow. We see churches throwing out preaching and teaching of real sin, real repentance, and a real Savior for anything and everything that feels good. And truth be told, our sinful flesh thinks the same way. We want a house-trained John the Baptist, without all the camel hair and repentance. We want a tame God who meets our expectations. John’s preaching may be unpopular, but it’s still necessary. John will not point us to our feelings, scratch our itching ears, or coddle us with a spoonful of sugar. John preaches about our real sin so we can see in Jesus our real Savior. 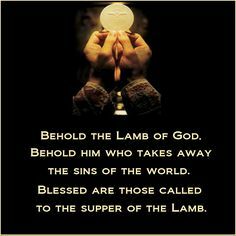 Behold, the Lamb of God who takes away the sin of the world. John points us to the Lamb hidden in bread and wine for you who comes today to take away your sin. John may be gruff and rough around the edges, but the church needs John the Baptist, so that we as a congregation would learn how to stand apart from the world for the sake of the world; to look, speak, sing, and act differently than every other place in the world for the sake of reaching out to our neighbors, friends, and family with a Gospel that is not of this world. When the world asks who are you Jesus? We have the best answer of all. Behold, the Lamb of God who takes away your sin. Maybe this Advent, we find ourselves asking John’s question in a personal way as well. Who are you, Jesus? Are you the one who is to come, or shall we look for another. As much as people talk about joy, festivities, and happy holidays, this time of the year, for many people – and maybe you’re one of them –isn’t the hap-happiest season of all: illness of body or the mind, grief, guilt, and sorrow overwhelm many, especially at Christmas. Close friends and family members have died recently or in the past – either way, the wounds reopen around the holidays. For some there is the strain of finances, unemployment, uncertainty in the economy, taking care of family, making rent. And then there’s our own personal prison…a solitary confinement of guilt, despair, and darkness within where we try, like Herod, to lock away our sin in dark dungeon out of sight, out of mind, just like John. Whether it’s today, next week, or next year - whenever you find yourself asking the same question John asked: “Are you the One, Jesus?” Jesus has the same confident answer for you: YES! I am Immanuel, God with you. Jesus gives you the signs he gave John. The blind see, the deaf hear, the lame walk, the unclean are clean again, the dead rise, the poor hear good news that they are not poor. These signs reveal to faith what our eyes cannot see. The kingdom of God has come with the coming of Jesus. The Son of God has come in the flesh. The light shines in the darkness, even as the darkness seems to prevail. Who are you, Jesus? A holy child born of Mary in whom we see the glory of our Lord in human flesh. 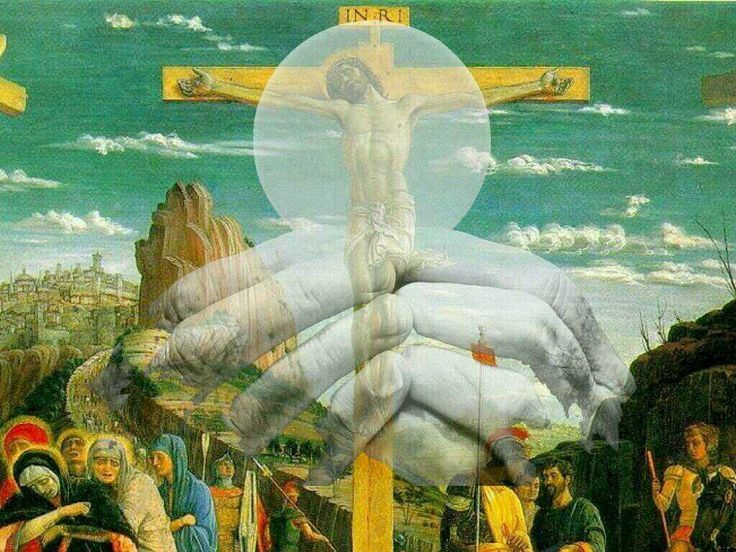 In Jesus’ hands, outstretched on the cross, our weak hands and feeble knees are strengthened. In Jesus’ heart, pierced for our transgressions, we find healing for our anxious hearts. Jesus came to save you, and John, and all. As St. James declares, in Jesus we see the Lord’s is compassion and mercy. So, even if you don’t have the “joy, joy, joy, joy” down in your heart on this Sunday called Gaudete (which means rejoice! ), Jesus comes for you. If you feel weak and powerless against the powers and principalities of this world, Jesus comes for you. If your life feels like a dark dungeon and the Herods of this world appear to have the upper hand, Jesus comes for you. If you have questions, fears, and doubts like John, leave them at the manger and the foot of the cross. Jesus comes for you. Jesus comes for you in the most unexpected of ways: hidden for you in the weakness of Immanuel, God with us, in the manger, in the cross for you, and in his body and blood given for you. “Be strong; fear not! Behold, your God has come. He comes today for you. And he will come again to save you. Advent Midweek Sermon: "Children of Promise"
We often think of the Bible as one book, and in many ways, it is. And yet this one book is also full of many books, with numerous authors, in a variety of genres, delivered to God’s people through prophets and apostles. In many and various ways God spoke to his people of old by the prophets, but now in these Last Days, he has spoken to us by his Son. Like the cords that hold together the pages and spine of a well-crafted book, God binds Holy Scripture with one little word: promise. This Advent we’ll spend the midweek services hearing God’s promises to us in Christ from his prophet Isaiah. The book of Isaiah is often called the fifth Gospel because of the gracious, comforting, and life-giving promises declared by Isaiah and fulfilled in Jesus’ birth for you. But this is no abstract, vague, or empty promise. No, when God promises you something, he keeps it; and more than that, God’s promises for you are tangible and visible. God wraps his promises to you in the stuff of his creation. Your ears hear the good news that you are forgiven all your sins. You are washed with water and the Word in Holy Baptism. 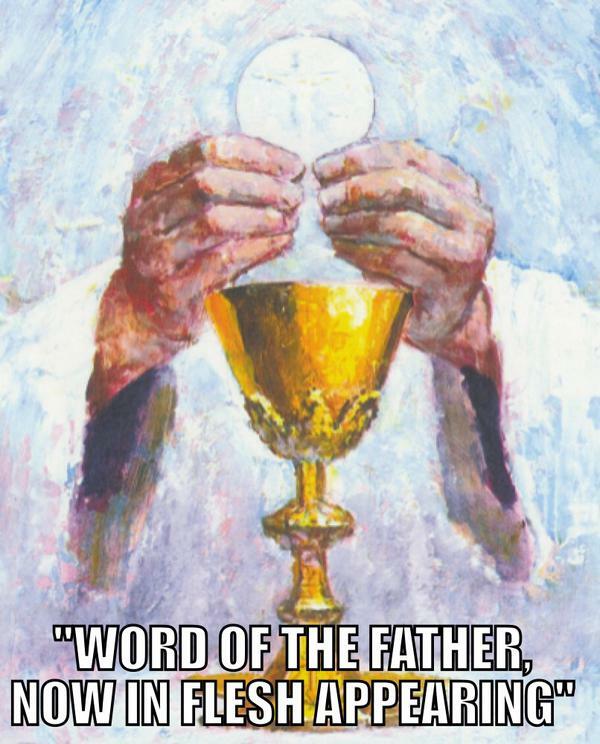 Jesus feeds you his body and blood for the remission of all your sins in simple bread and wine. Throughout Scripture, God makes his promise visible in the form of a child. In Genesis 3, God promised Adam and Eve that a son would be born who would crush the devil’s head. In Genesis 4, Eve thought she gave birth to this promised son. But instead of crushing the serpent’s head, Cain chose to crush his brother Abel. And though Abel’s blood cried out to God from the ground, it was in vengeance, not the redemption. God’s promised Son was yet to come. In Genesis 17, God promised Abraham and Sarah a son in their old age. Sarah your wife shall bear you a son, and you shall call his name Isaac. I will establish my covenant with him as an everlasting covenant for his offspring after him. God kept his promise. Isaac was born. And after him, Jacob; and after Jacob, 12 sons; and Israel grew as God promised. But neither Isaac, nor Jacob, nor his sons after him would be Abraham’s offspring born to bless all nations. God’s promised Son was yet to come. In 1 Samuel 1, Hannah prays to God in despair for a son. Through his servant, Eli the priest, God promised Hannah a son. Samuel grew up in the Lord’s Temple, in the presence of the Lord and dwelled there as a priest, declaring the Lord’s promises to the people of Israel. And though Samuel was a faithful priest, who served the Lord in his holy house, he was not the promised Son who would be the great high priest and make atonement for the sins of the world. In the blood of Abel innocently shed, in Isaac through whom God’s promise to Abraham continued, and in Samuel the priest who served in God’s presence, we see a glimpse of God’s promised child, Jesus. The prophet Isaiah points us to God’s promised Son, Jesus. Our promises are full of conditions, limits, and skepticism. “If you do this…I’ll promise to do that” or, “I promise…just let me do this first.” But not God’s promises. God’s promises are pure gift. No strings attached. No conditions, limits, or fine print. Jesus is born for you. Given for you. The Promised Son for you. God’s promises are different from ours because he sends us a Son that is, at least in one way, far different from us. Unlike us and Cain, he had no murderous thoughts against his neighbor, but sacrificed his life for ours. Unlike Abraham and Sarah and us, he did not laugh or doubt God’s promises; he was and is a faithful Son for you. Unlike Samuel he did not need to make atonement for his own sin; but this great High Priest became the sacrifice for you. God sent his promised Son to be born for you and me and for all because apart from God’s Son, we are not children of promise. We were dead in trespasses and sin. We lived in the passion of our flesh. We chase our sinful desires. We were by nature children of God’s wrath, enslaved to sin. We were not sons or heirs; we were outside the family inheritance. God sends his only begotten Son to you, so that in Jesus’ cross, you are declared his own dear child. God became man so that man might become sons of God. The Virgin Mary marveled: how can this be since I am a virgin? We too find ourselves marveling at this mighty wonder. How can this be since I am a poor miserable sinner? What wondrous love is this? Why would God send his only begotten Son for such an impossibly stubborn and unworthy child of Adam like me? Sounds impossible from our perspective and Mary’s. But nothing is impossible with God. Jesus’ incarnation is one small step for God and one giant leap for mankind. God becomes man to deliver man. God takes on human flesh to redeem you, make you holy, and take you home with him as sons, heirs, and God’s own children. It is the blood of God’s Son, Jesus, that speaks a better word than the blood of Abel. You are forgiven. Your sin atoned for. Jesus is truly your brothers keeper. Always. Abraham’s greatest son, Jesus is the child of promise, born to be an everlasting King with you as his beloved citizens. And of the increase of his peace there is no end. Hannah’s prayer for a son is fulfilled in the birth of God’s Son, Jesus. He is your great High Priest. Jesus intercedes for you. Jesus is the sacrifice for sin for you. In this holy child, we who have walked in darkness see the light of his manger and cross where he was laid for you. In this holy child, all of us who dwell in the deep darkness of this fallen world receive Jesus who is the Light of the world, the light no darkness, no sin of ours, not even the thick darkness of death can overcome. In this holy child, you are all sons of God through faith. For God has sent the Spirit of his Son into your hearts, by whom we cry out, “Our Father”. You are God’s children of promise. And the same Holy Spirit that worked faith in the heart of Adam and Eve, the same Spirit that pointed Abraham and Sarah to Christ, the same Spirit of the Lord who called Samuel and overshadowed Mary with the power of the Most High, is sent to you to point you to Jesus, to prepare your heart and mind to receive this infant King this Advent and every day until our Lord returns. Let it be to us, according to your Word, O Lord.